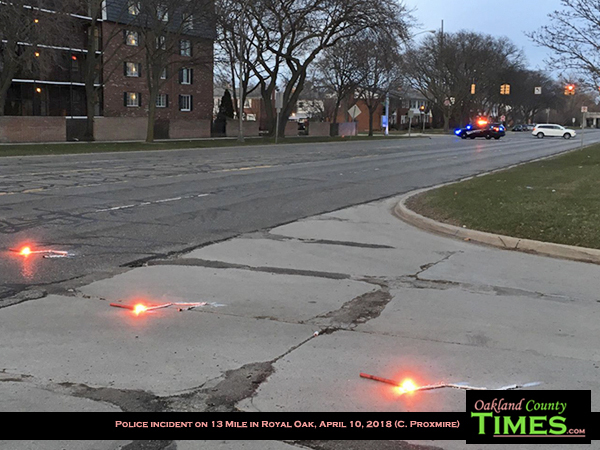 Royal Oak, MI- Oakland County Sheriffs Deputies were on the scene Tuesday evening investigating a fatal shooting by Royal Oak Police on 13 Mile just east of Woodward Avenue, at Coolidge Hwy. 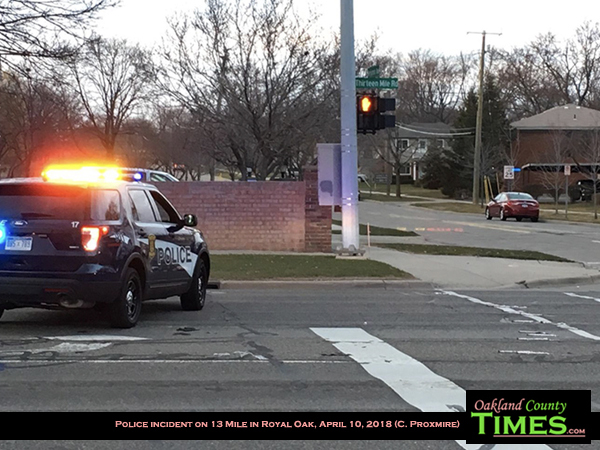 According to Royal Oak Police Chief Corrigan O’Donohue, the victim had fled from a traffic stop in the area at around 6:11 pm, and was spotted about 15 minutes later in the drive-through at White Castle. The officer approached the driver, and at some point during the interaction with the driver the officer fired his weapon, shooting the driver. The driver continued onto 13 Mile, striking a mini van head on. He was taken to Beaumont Hospital where he died a couple hours later. 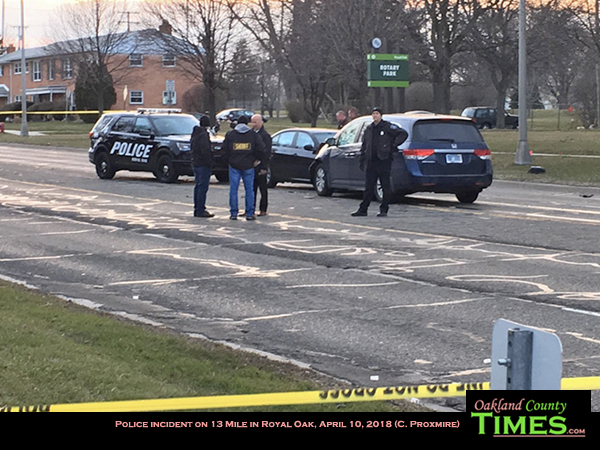 Oakland County Under Sheriff Mike McCabe confirmed that Special Investigations Unit, Forensic Science Lab and Crash Reconstruction Unit were on scene investigating the fatal shooting, but said details would not be released until later. UPDATE: As of Wednesday morning the officer involved was placed on administrative leave pending the investigations. Police have not yet determined what led to the shooting. 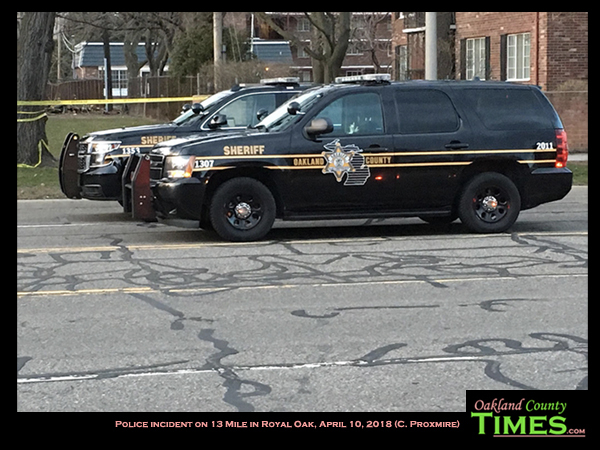 Anyone with information is asked to contact Oakland County Sheriff’s Department at (248) 858-5000 or the Royal Oak Police Criminal Investigation Division at (248) 246-3456. 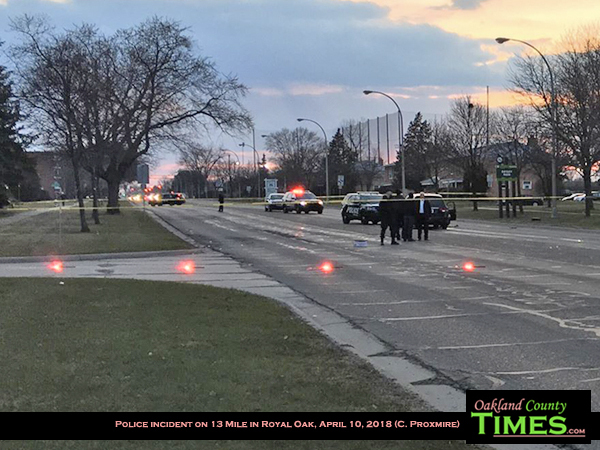 “The Royal Oak Police Department has identified the man fatally shot by an officer on April 10, 2018 as Antonino Thomas Gordon, a 28-year-old male from Commerce Township. Mr. Gordon has had numerous contacts with law enforcement including multiple arrests for Operating While Intoxicating (OWI) and disorderly conduct. At the time of this incident, Mr. Gordon had a criminal bench warrant for his arrest with a bond of $75,000. This story has been updated, and will continue to be, as more information becomes available.